Who is Alan Cyment (@acyment) ? Alan is one of those people whose reputation goes faster then he does, and in his case, that is a good thing. I heard about what he had done in Amsterdam at the Scrum Gathering. 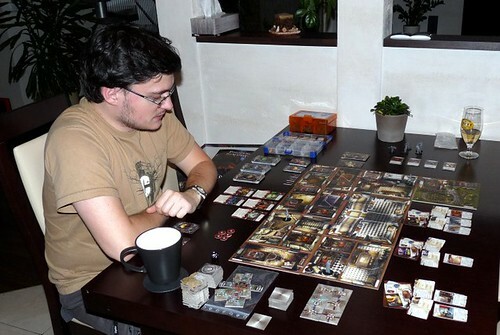 Being into agile games I was impressed. When Gerry Kirk proposed to use a multi-tasking game that he learned from Alan for our Personal agility workshop I immediately agreed. After we did it, it became a favorite part of my agile toolkit. I was happy when Xavier Quesada proposed him for the book. I’m not sure if this is a well-known fact outside of Argentina, but as far as I know Buenos Aires (my home city) boasts (or suffers from) the highest ratio of psychoanalysts per capita in the world. As a member of such creed, I went to analysis three times a week during 11 years ever since I turned 16. Psychoanalysis has shaped in a great respect my thinking, both in a personal and professional respect. In retrospect I must say that the psychoanalyst was a nice guy, but a bit on the cruel side. I believe that is where I took the idea of pain-driven facilitation from. I’m more into behavioral psychology these days, but I still feel a bit melancholic when I listen to someone do free association. I would have loved to be an orchestra conductor or a theater director, but sadly I wasn’t born with the instinct and the ear to become one. I guess I’ll have to wait until a wave your baton” Wii app comes out in order to relieve my artistic angst. One of the biggest challenges I have to face almost daily is my shyness. For some reason I chose a profession in which I am forced to communicate and help others communicate. This I feel helps me advance personally whenever I run a course or coach a team. I’m very happy I made the enormous effort to leave my comfort zone as a lonesome developer and take acting lessons. I found that acting, in contrast to what many people think, is a very genuine way of communicating both with actors and the audience. I’ll plagiarize Jonathan Perret: the smile of those I love. I guess my biggest achievement so far is having found and picked up Vero, my wife. Professionally speaking I think I never felt so happy and fulfilled as when I did the closing session during the Amsterdam Scrum Gathering in 2010. I ran games for over 80 people for almost an hour. I just loved it! I really enjoyed reading The Worldly Philosophers an intro to some of the most influential economists in history. Apart from the director thing, I would have loved to be a historian. I find it thrilling when history and philosophy are described in a deep and straightforward way. Very very recommended reading. “Why hasn’t agile become more widespread outside of the software world?” I think we don’t try hard enough to spread the word outside of the community. A lot of people have expanded its use to marketing, NGOs, advertisement, you name it and yet I feel this is just the beginning. I would love it if software was just associated to only a couple of tracks in the Agile 2xxx” conference. I always enjoy finding out what Tobias Mayer has to say on most subjects. Marcin has been a great supportor of some of the things I did. He was one of he first contributors to the Agile Conferences calendar. And with ConfRadar he took that one step further. I always loved it when people take a crazy idea from me, and turn it into a viable business. Not being from Eastern Europe, at first I confused him with Marcin Floryan, but gradually I learned they were two great individuals. I got my first computer (Atari XE65) when I was ten or eleven I think and since then I knew I want to be a programmer. After some time my parents decided that they will buy me a PC (x386 at that time), because they saw me investing so much time in learning computer stuff. My father took an extra seasonal job to earn more just for that PC. Since then, if I wanted to upgrade anything I needed to find a job to earn for that. And so I did. All my choices during the school years were focused on learning programming, mathematics and the like to start Computer Science at the university. I’m grateful to my parents for supporting my hobby those days, because now I can do what I do, which is creating software. At the same time my parents also taught me to work hard to achieve the goals I set for myself. I have new ideas very often and they tend to distract me. I usually manage to stay focused, but the biggest challenge for me is not to commit to too many projects or activities at one time. I still fail to do that too often. This is because I’m usually very enthusiastic about new opportunities or things I know I could do and which could be useful to somebody. So through the years I learned to choose my commitments carefully as well as to distinguish things that are important to achieve the goal from those that are only bells and whistles. Nevertheless ideas keep coming :-). I always wanted to build useful things. When I was at the university I never liked the courses where the subject was too abstract. I needed to find a purpose for doing those things. It doesn’t mean that I don’t do anything just for fun, but I always wanted to create something that people can actually find helpful or fun and use it. So what drives me is to see that my work is useful. Whenever I get some feedback (no matter positive or negative) it gives me a lot of great energy. The same is true when I go to conferences. They fill my brain with many different points of view that I can use later on to create my own vision. I love to meet people that actively change the world around them. Would be great to be able to say the same about myself. Such people drive and influence me in pursuing that goal. I would divide it into personal and professional one. On the professional level I’d say that starting my own company and managing to create software that people use and like would be my biggest achievement so far. This is something I’ve always wanted. But it’s still the beginning. I also love the freedom of choices I can take from being my own boss. I really like the feeling of creating something from scratch that is later on used globally thanks to today’s technology and internet. This is also the reason that after so many years I still love programming. My personal achievement is five years old now 🙂 Of course just the fact of having a son is not so difficult to achieve, but raising a kid to become a curious, passionate and active human being is way more difficult than building a product or running an agile project. There are no rollbacks 😉 Every day can challenge you more than you can imagine, but at the end it will make you proud. At least my wife and I, we’re proud of what we’ve achieved so far. Some time ago I laughed with my wife that my reading list changed lately and now contains mostly books for children which we read one after another. But my latest quick read was Ignore Everybody: and 39 Other Keys to Creativity by Hugh MacLeod. A great book to reset your mind and get a fresh look at what you do. I tend to read a lot of books partially. I read one or two chapters, then get into another one and come back to them later. But I also subscribe to at least a hundred of blogs (mostly agile or programming related) which I try to keep up with. So lately I rather read professional stuff through blogs or articles in the internet (whenever they hit me through Twitter or other social “messengers”) and keep the time for books to those I can just relax with. For example lately I’ve finally managed to make up with Ursula Le Guin’s “Earthsea” series (which was a shame not to read earlier and call myself a fantasy fan). “Where should we look for improvements to our today’s way of building products?”. This is something that intrigues me. I know this series of interviews is about people somehow related to the agile movement, but are agile or lean approaches the best ones we know so far? I actually don’t know the answer to that question, but I wonder if the fact that so many teams don’t follow many agile practices and still call themselves agile is caused by misunderstanding of the principles, by the laziness, politics, or maybe by the fact that those methods just lack some ingredient. If such simple principles are so hard to follow, then maybe we need something different and on the other hand more pragmatic? I know that there are so many teams that will tell us they achieved a high level of agility, thus others can also do that. But is the improvement process behind the Agile Manifesto infinite? Is agile or lean approach a step towards even better method or should we be looking at it from a different angle? Should we be looking somewhere else? I think it should be Paul Klipp who did tremendous work for agile movement in Poland by organizing the first Agile Central Europe conference (now ACE). Paul also has a lot of great insight about running an agile company and has been doing it successfully for years. I’d also love to read what David Hussman has to say to your questions. When you buy it, you will get answers to these same quesstions from 89 people. And it contains also Marcin’s answer to Jukka’s Question: What’s your last significant insight related to your work? Siddharta was suggested by Naresh. Here is what he has to say about Siddharta. A geek at heart, Sid is a strong community leader and entrepreneur. Rare to find such gems in India. He started his product company, Silver Stripe Software in 2007 to help distributed teams improve the way they deliver software using Agile and Lean methods. 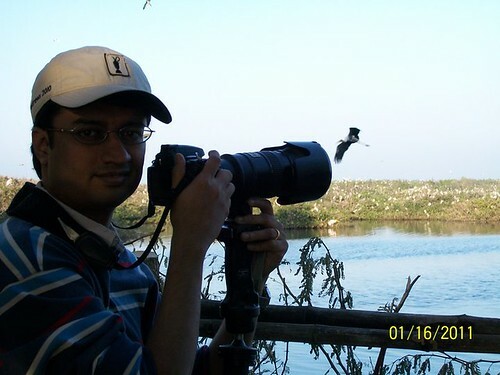 He also started and leads the Agile Chennai Chapter in India. Sid is very passionate about building a startup ecosystem in India. To support the same, he co-organizes Proto.in, Chennai OpenCoffee Club, TiE Chennai Startup and many more events for startup founders to meet and exchange ideas. In 2011, Sid was nominated for the Brickell Key award, an award given by the Lean Software & Systems Consortium as a recognition for his achievement in the Lean-Agile industry. When I was a kid, I read books on how entrepreneurs from the early days of Silicon Valley created companies that changed the way we live (and had fun doing it!). I wanted to create something like that. In eighth grade, my friends and I would type out programs, take print outs and try to sell them to others in school. I’m a huge fan of Richard Feynman. He showed that you can be doing very serious work and having fun at the same time. I was really into physics a lot in high school (the Feynman influence), so I might have become a physicist. I also like to do some photography as a hobby, so I might have taken it more seriously and made it a profession. While running a startup, you run into a new challenge every day 🙂 That’s what I love about startups, it forces you to be on the move, learning all the time. I have no idea. I don’t think I’m driven. I just like to work on what seems to be interesting and appropriate at that particular moment in time. Perhaps, I just like finding answers to questions. It is still a work in progress: building a successful software product company in India, and making a difference to our customers. I’m reading two books currently. Dealers of Lightning, which is a book on the history of Xerox PARC, and Hen’s Teeth and Horse’s Toes, a collection of essays on evolutionary biology. Being a part of the India team at the very first World Cyber Games in 2001. 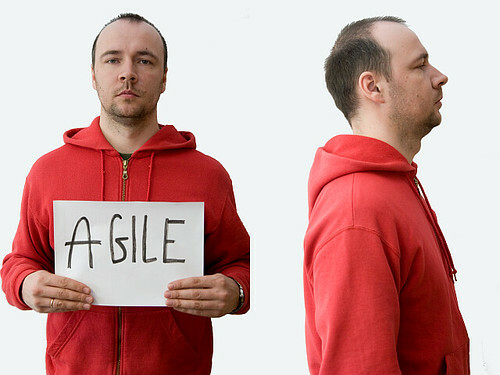 I met Paweł in Kiev at the first Agileee conference. And he helped me to get to Accde10. I still remember that when he picked me up at the airport, I hoped (wondered) whether we would have enough to talk about before we arrived. Oh yes, we actually stopped just before arriving to have a meal together and have some extra time to talk. It was the best way to start an unconference. I think the thing that has triggered a change in my attitude to software development was a project I was writing some 7-8 years ago. It was supposed to be an agile project, because the company I was working for claimed to be using Feature-Driven Development. But nobody really knew what that was supposed to mean. We (a 2-person team) had a fixed time (one month), fixed initial scope (getting bigger and bigger at every review meeting), and we were supposed to write a system critical for our customer. So to make it in time, we were working 12-14 hours a day, including weekends, sacrificing code quality just to make the thing work. In the end the software kind of worked (yeah, it took weeks afterwards to make it stable…) I then had a short vacation and the project was passed to a regular team. The new developers “liked” my 2500-line class called ‘BusinessProcess’ so much that when I got back from my vacation the source code printouts were pinned to the walls of their cubicles. You can imagine how I felt, so promised myself I’d never ever be ashamed of my code. So that’s how I got interested in agile practices, and started trying out XP. This is how my journey with agile began. Harmonising managing my company, doing real work (training, coaching, coding), spending time with my kids, doing typical chores and still being able to find some time just for myself. And it is good for me – I’ve never been particularly good at managing my time and tasks, and with so many things to do every day, I’m just forced to have everything scheduled. Because of that I’m now much more organized than I used to be. Seeing and working with people who care. Here at Pragmatists we managed to build a work-, learning- and self-improving-oriented culture, so it’s relatively easy for me to have a good drive. Certainly my company and how it works. Looking at my colleagues: their enthusiasm, willingness to take responsibility, coming up with improvement ideas. Pragmatists is for me a living proof that agile mindset not only helps create great products, but also generates a great environment to spend time in. Just finished The Lean Startup by Eric Ries. A great and inspiring read. Even though my company is not a startup, a lot of the ideas can be directly used or adapted. Why did it take you over a week to come back with the answers? Portia Tung – I met her some 5 years ago and I really liked her approach to teams and work. She was infecting with “do the things you love” idea. I would really like to read her answers. Who is Joshua Partogi (@jpartogi) ? Silvana Wasitova [first met Joshua online, in Scrum Indonesian Googlegroup, and finally over lunch in Jakarta ]: What I like about Joshua is his vision, passion and resourcefullness in spreading the message of benefits of Scrum in Indonesia, and South-East Asia in general. In February 2011, Joshua started the company ScrumWay Indonesia, and expanded to ScrumWay Asia in January 2012. That is a good question. I would say that my father who has influenced me about strategic thinking and servant leadership. I would also say that my wife is a big influence on me because she has taught me to be a more outgoing person and to not deal only with computers too much. I don’t know. I have always wanted to be in IT since I was in primary school. I would say I would have become a professional barrista since I love making coffee so much. My biggest challenge would be to increase the awareness of Scrum in Indonesia especially in the government sector. 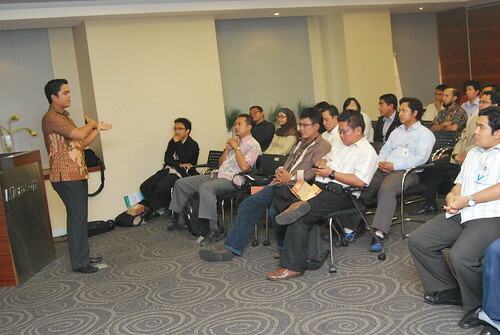 I would like more Indonesians to know that Scrum can bring business value to their business. If the majority of Indonesian companies are using Scrum, I would imagine that it would increase the nation’s income. Seeing smiles in people’s faces after Scrum is implemented in their organisation. Hmmm. In the Plex by Steven Levy. What do you think are the drawbacks of Scrum? That is a good question since many people have been asking me this question. I think the drawback of Scrum is that it is so different from what most people already know. It is difficult for people to get used to it even though it is relatively simple. Both are top-notch Scrummers who are very persistent pushing Scrum in their organizations and are big believers of Scrum. I am a big fan of theirs. If you like these answers, you might want to check out our book: who is agile It contains these answers and answers from up to 89 people in total.